William Monahan, winner Best Adapted Screenplay for ?The Departed? 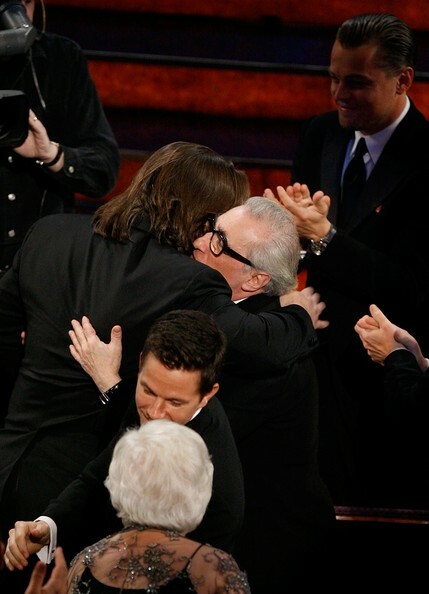 congratulated by Martin Scorsese during the 79th Annual Academy Awards at the Kodak Theatre on February 25, 2007 in Hollywood, California. Martin Scorsese finally got his Oscar gold in 2007. The director was passed over for the Best Director prize time after time, but finally walked away with the win for his flick The Departed. "Could you double-check the envelope?" he told the presenter upon getting up to the mic. ***NO ONLINE, NO INTERNET, EMBARGOED FROM INTERNET AND TELEVISION USAGE UNTIL THE CONCLUSION OF THE LIVE OSCARS TELECAST*** Writer Diablo Cody winner of the award for Best Original Screenplay for the movie "Juno" poses in the press room during the 80th Annual Academy Awards held at the Kodak Theatre on February 24, 2008 in Hollywood, California. Stripper-turned-scribe Diablo Cody won her first Oscar (Best Original Screenplay) in 2008 for her flick Juno. She flashed a little leg and even shed a tear onstage while thanking her cast and family. "And most of all, I want to thank my family for loving me exactly the way I am," she said. In 2008, Heath Ledger became the second actor in Academy Awards history to win a statue after his death. The Dark Knight actor's mother, father, and sister got up on stage to accept the Best Supporting Actor prize on behalf of the late star. His sister Kim said: "This award tonight would have humbly validated Heath's quiet determination to be truly accepted by you all here – his peers within an industry he so loved." It was a very bittersweet moment in Hollywood. Director Kathryn Bigelow accepts Best Director award for "The Hurt Locker" onstage during the 82nd Annual Academy Awards held at Kodak Theatre on March 7, 2010 in Hollywood, California. Kathryn Bigelow's 2010 Best Director prize was one for the history books: She became the first woman to ever win the honor (for The Hurt Locker) in 81 years of Oscar history AND beat out her ex-husband James Cameron and his flick Avatar. "This really is… There's no other way to describe it, it's the moment of a lifetime," she said. Halle Berry became the first African American woman to win an Oscar in 2002 for her role in Monster's Ball. She was in tears while accepting the statue, and gave a very emotional speech. She began: "Oh, my god. Oh, my god. I'm sorry. This moment is so much bigger than me. This moment is for Dorothy Dandridge, Lena Horne, Diahann Carroll. It's for the women that stand beside me, Jada Pinkett, Angela Bassett, Vivica Fox. And it's for every nameless, faceless woman of color that now has a chance because this door tonight has been opened."